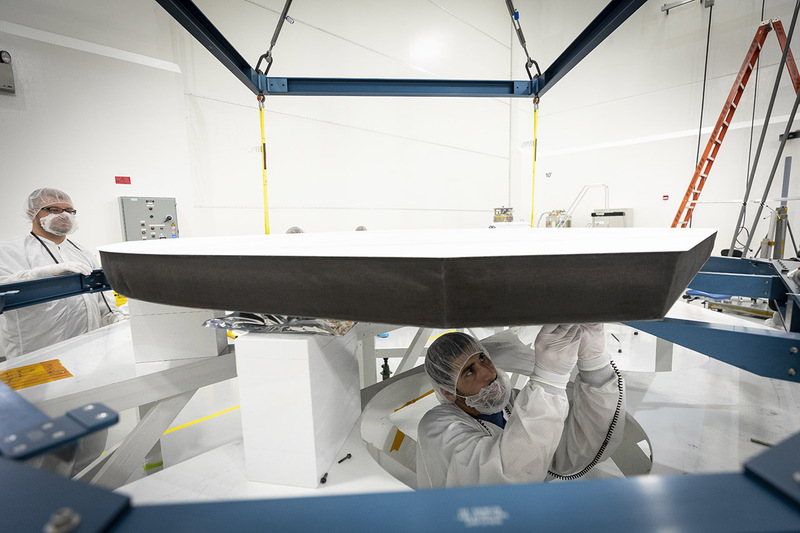 Compared to the British mission, Solar Probe Plus will use tiny panels to generate electricity when it approaches the corona and hide its larger array behind the heat shield. 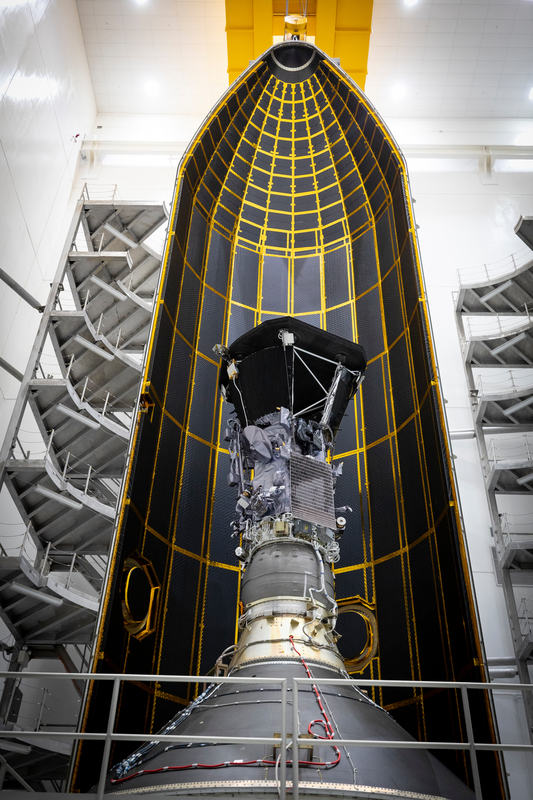 Although Solar Orbiter will fly a mere 42 million kilometers away from a sun, Solar Probe Plus is supposed to fly within six million kilometers of the sun. If anything, Solar Orbiter will not be a record holder for long. As for their orbits, Solar Probe Plus seems planned to orbit within the plane of the solar system while Solar Orbiter will have a high inclination. The mission objectives appear to overlap each other only partially, and together they will construct a better picture of the sun. The article says that Solar Orbiter will be taken high above the plane of the solar system so it can observe the sun's poles. Ulysses did this by going all the way out to Jupiter and using a gravity assist, but never got very close to the sun. While Solar Probe Plus was planned to fly by Jupiter to decrease its perihelion but will now use multiple flybys of Venus, there is no mention of how Solar Orbiter will get into its orbit on Wikipedia or elsewhere after a quick search. EDIT: Solar Orbiter's trajectory was posted right above my post. The video also includes information about the spacecraft's heat shield and how the solar arrays and other parts of it will handle the temperature. Last edited by Unstung; 08-08-2013 at 01:57 AM. ESA Solar Orbiter, NASA Solar Probe Plus. They must be the two most audacious space missions currently in development. Solar Orbiter and Solar Probe Plus will venture inside the orbit of Mercury to study the Sun. The temperatures on the front surfaces of these satellites will go into the high hundreds of degrees Celsius, and beyond. I merged all three similar threads and renamed the title to reflect Notebook's decision to cover both missions in one thread. The redirects expire in a week. Last edited by Unstung; 03-31-2015 at 03:19 AM. On Wednesday, Solar Probe Plus was officially renamed Parker Solar Probe. This is the first NASA probe named after a living person. Parker Solar Probe is due to launch next summer. 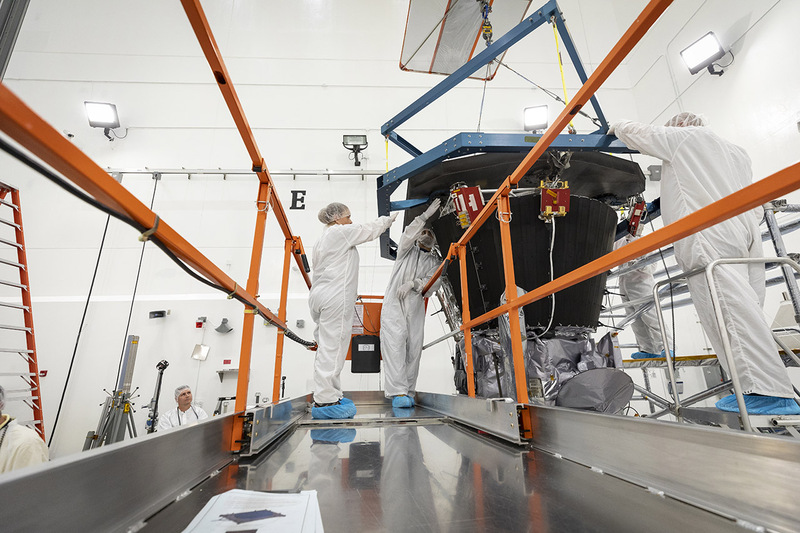 "Cutting-Edge Heat Shield Installed on NASA’s Parker Solar Probe"
The launch is scheduled for no earlier than August 4. The pre-launch briefing was held yesterday! 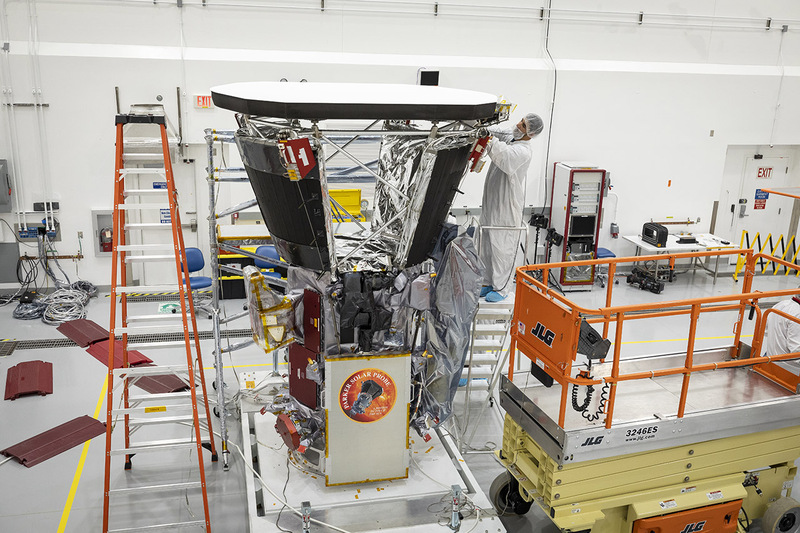 "Prepping to Launch for the Sun"
Aw, what a cute little probe. I'm surprised they didn't cut down the length of the fairing some. It'd save, what, a few hundred pounds, probably, but that'd be a little extra kick. Maybe there is simply no shorter fairing available right now and developing a special shorter one would be expensive. After all, such a fairing is a complex design, despite its superficially easy job. After all, it looks like its just two "rings" less possible, before the end of the payload envelope arrives at the top of the probe. Just look at the product card for reference there. Live stream will be available on NASA TV (Starts at 3 a.m. EDT). Last edited by Nicholas Kang; 08-10-2018 at 11:52 AM. Reason: Added more videos. BBC is covering the launch as live, unusual for them. T-4 and holding, pending new launch time.